2012 Life is changing on this earth, this year, many to follow will be another start, power will not be money-related, emphaty and intelligence will. God as it is could create, but the one who is god, is human invention, for it is a very high spiritual energy, whatever we do, or think, which intention we have, it will either darken, or lighten this energy, creation lays inbetween this, power as we know it, cannot tell us, what we dont know, most call it god, allah and so on, the image off god, does not tell us how “he”‘ is, we are human, this universe is so much bigger, there is more live and all this is insprirated and created by one, the big inmense energy, no human image, interference or what so ever would even come close, but what we want to egnolize, what we want to understand, is what was written down by human hand. Thus it is impossible to actually speak of creation or dead, dieing is another birth, a phase in the eternal life we are living, untill we melt into that light, then we call it heaven, hell is in between ur ears, u are able to make it hell, in ur life here on earth, a disabled person is not that hell u think off, hell is the negatif vibe u or we create, when we dont understand the purpose off why we are here and close our abbileties, to receive the positif vibe, which is always around, what u see, is what u can handle, comperhend, alias understand, we all live serveral lifes, each time we go levels up, never judge, even a criminal, or social weaker person than u, dont forget, u have been there too. 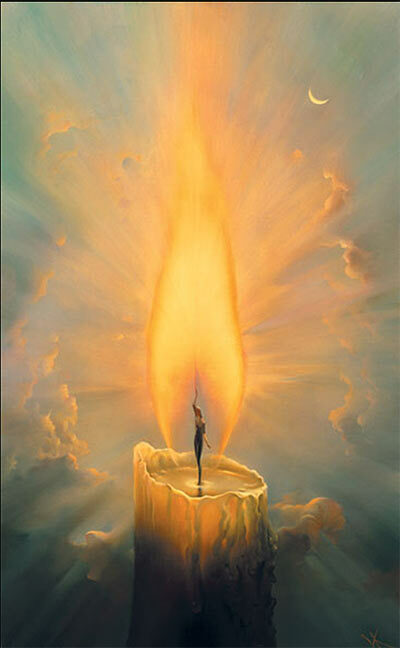 If u are light(hope i spell that right) enough, u go to the light……….the inmense eternal energy, even then u dont die, u merge, u do that what u urge for all ur lifes u lived, beinmg together, full off love and in peace. sometimes i had to choose words, i would not have choosen, if i could have wrote this down in dutch, my native language, i still hope u will understand the essentie, off what i tried to say. Offcourse we have choices and these are the crosspoints, if u make a bad choice, u have to do it over till u are on the same spot(crosspoint) as before, hopefully making the right choice, this will be repeated, till u choose well, nothing else, no harm done, if u are aware off that, sins are made, on this earth, sins are lessons as well, sins are there, to make u choose better, sins are off this world, cleansing, getting clearer, more light(as in weight), for to go to ”heaven, the last goal, the great light/energy” makes u able to go to a certain dimension. Forgiving is an art, towards urself and others, it makes u lighter too, live ur life, be the one u like to be, others can judge u, but it tells more about themselves, being down, is going deeper, but one has to get out off it, because in the system we live in right now, there is lots off confusion, bad interference and material involved, this is a pity and often not worth it, to go down for/with, but also it makes u stronger and hopefully ur eyes more open, love is the right energy, compassion too, going down can be dangerous, beware off material importance, so many ppl do suicide, because they lost job, house and so on, offcourse this is awfull, yet, it opens another door in the end, this sounds easy, but suicide seems easy too, for some ppl, IT IS NOT, apart from the deed, u loose a lot and leave ur beloved ones, in an awfull way, it has no use, u have to do it all over again, same crosspoint remember?…….we all start same way as human, we all have been in dimensions, we all go same way, have to learn lots during our lifes, so, with this knowledge, u can look around u and regocnize urself, or human beings, who just try to live their lifes, again i say, dont judge, there is a great chance u have been there, or u will be coming there. Once in my life, i had a strange experience, i was somewhere in a certain swamplike world, nothing moved, it was water and some green mossy stuff in it, also i saw like great green kind off monsters with hollow eyes, arms and even feet, then i saw a tiny lightblue ball, dont know the word in english, but it looked like a marble, only it could fly, the marble floated into the monster, when i saw that, my body felt warm and like i was flowing too, then i saw the monster moving, the water moved too, this was the beginning, i think that was the start off life on this earth, it needed a spirit to get alive, so the spirit was first, after that, live was enabled, i guess lots off ppl have their experiences and get more aware, i guess too, i am a prefeliged person, but i also know this is not because i am special, but, because i am very emphatic and i learned a lot, and willing to learn more. if anyone thinks i used their images, please let me know. This entry was posted in angels, earth, guidance, health, heaven, life, lifepath, love, spiritual and tagged angel, death, demensions, guidance, health, life, spirit, transit by marsk4angel. Bookmark the permalink.